livtravels | Live a life worth writing about. Hey guys! Welcome back to LivTravels! I’m on summer break now, so I will be posting the rest of my Europe videos and my QC video very soon! But for now, I am going to show you my Quebec City haul! I took pictures of everything that I bought, so here you go! 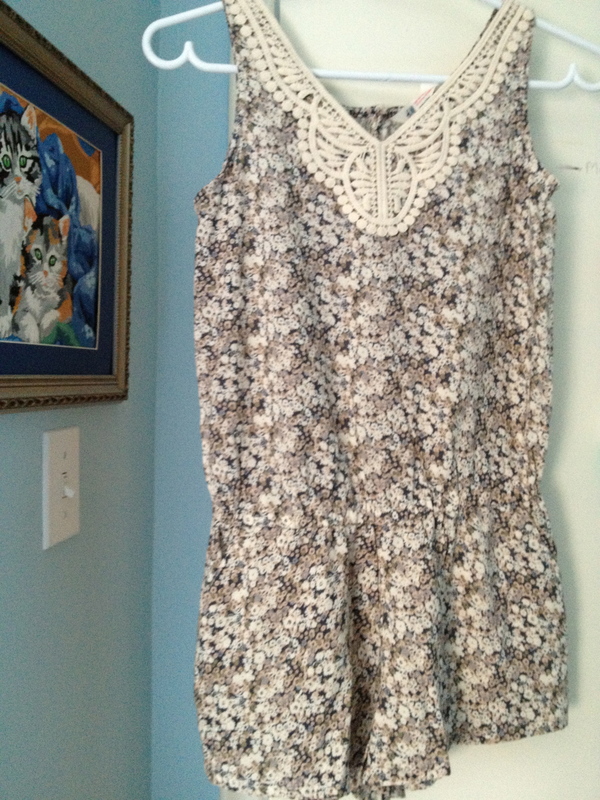 Here’s a romper (the same one from my France haul but in black!) from the kid’s section of H&M. I told you, I’m super tiny! So when we were there, all of the girls discovered like the best store ever! Simons!! It’s a huge clothing store that has good quality things for pretty inexpensive. We saw quite a few during the trip. They are only available in QC, but you may be able to order online! Here’s a link to their site! At the bigger one in the mall even was like a department store with different brands!! Seriously amazing! I wish I had more time in there! Anyways, I will talk to you guys very soon! Bye! LivTravels: Germany Day 6 is up! Good morning! I let Germany Day 6 upload last night, and here it is! I think I am going to start putting them in HD because they can go all night! But it would take longer to export..we’ll see!! Talk to you guys soon! Enjoy the video, and make sure to comment letting me know what you’re favourite animal is! Bye! LivTravels: Germany Days 1 & 2 Is Up! Happy Saturday! Looks like my video uploaded overnight! Yay! I think I am going to start do this because it totally takes over my computer while it is uploading, so this worked out perfect! Anyways, here it is! 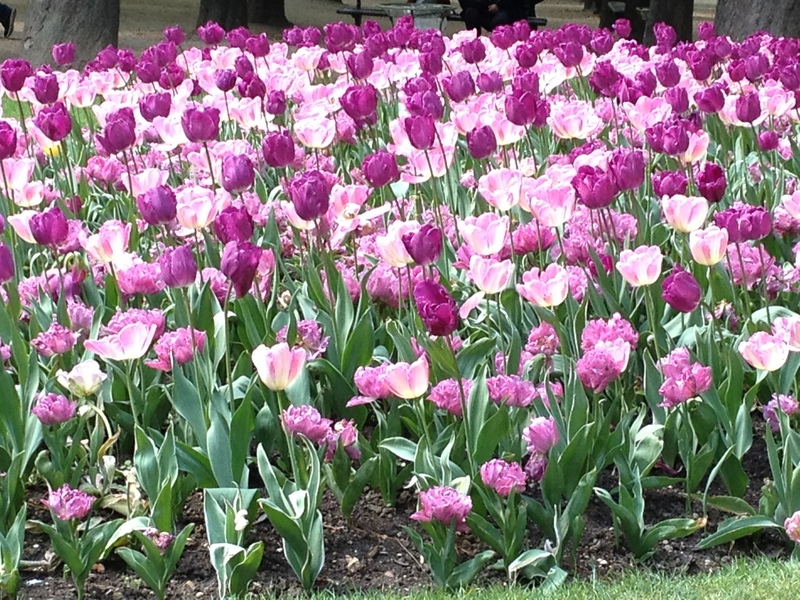 I hope you have a great Saturday of the long weekend! I will have a couple more posts up the next few days. Talk to you soon! LivTravels: Day 2 & 3 Is Uploaded! Hey guys! I got days two and three up! I merged them because there wasn’t much footage for day two. Get ready to come along to Germany now! We go back to Paris, but we went to Germany day four! I will have another video uploaded tomorrow if nothing bad happens, but it might be overnight because it totally takes over my computer when I am uploading! Haha, I’m not sure, but I’m pretty positive that I will get it up tomorrow! I might even edit two videos so that I can have them both uploading at the same time tomorrow night! Anyways, here it is! Oh yeah, and I will have my TGIF post up tomorrow, and will be experimenting with some stackable bracelets, so I should have a stackable bracelets post up sometime soon too! Be sure to check out my Instagram too because I have been posting pictures a lot more frequently on there! A few sneak peeks are: Outfit of the weeks, my month in pictures (june), things that make me smile (favourites), tip of the week, my summer bucket list (at the end of june), and a summer challenge!! If you have any more suggestions for posts or series ideas, PLEASE let me know! Talk to you guys tomorrow! Enjoy the video! Hi guys! 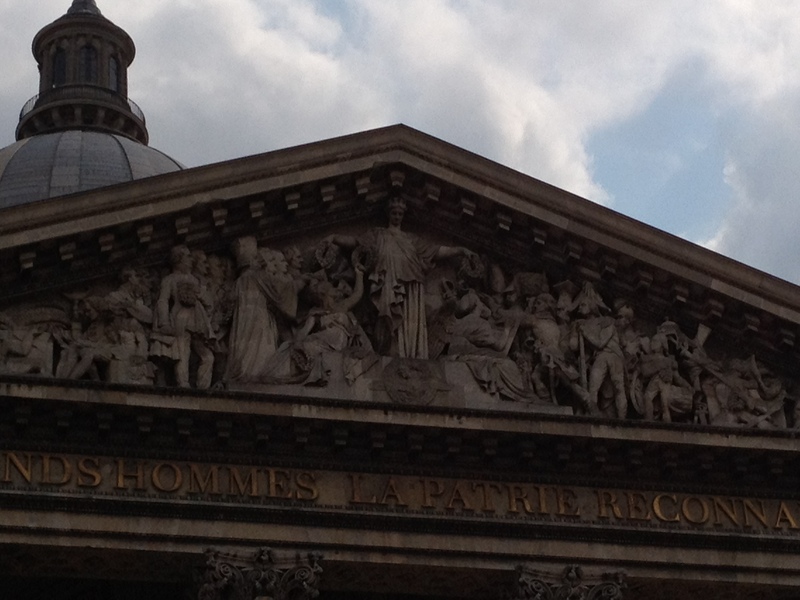 So, as I said…dun dun dun daaaa….Wanna see what I got in Paris and Germany!? Let’s gooooo!! So, for the first thing…it’s not that exciting…but I’m just going to include it anyways! We went to Sephora on the very first day, and I got two things. And then, on the last day we went to MAC and I got one thing. I’m not going to picture them all because they are pretty boring products, and not everybody is as interested in makeup as I am! I just got Bare Minerals Matte Foundation, NARS Smudge Proof Eye Primer, and MAC Naked Lunch Eyeshadow. Just very basic things! In Luneburg, Germany we went downtown shopping one day, and I ended up popping into a store called ‘Douglas’ and guess what I found?! AHHHH Butter London nail polish! LOL I was so excited! Where I live, I have to drive like a half hour and there are only like 10 shades to choose from, so finding a whole line there was pretty exciting! I got ‘Slapper’ and ‘Trout Pout’ which are both very typical colours that I love! I think they are my two all time favourite polishes! At least for Spring and Summer! They were pretty expensive, but I know I can’t get them anywhere at home, so I was ok getting them! They were like 16 euros each. 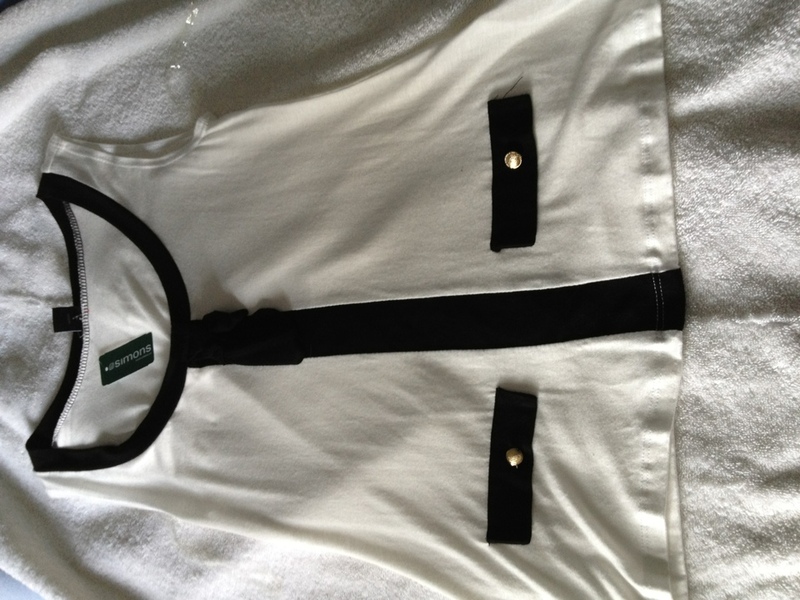 The next thing I got were a few things from H&M in Paris. I actually got them in the kids section. LOL. 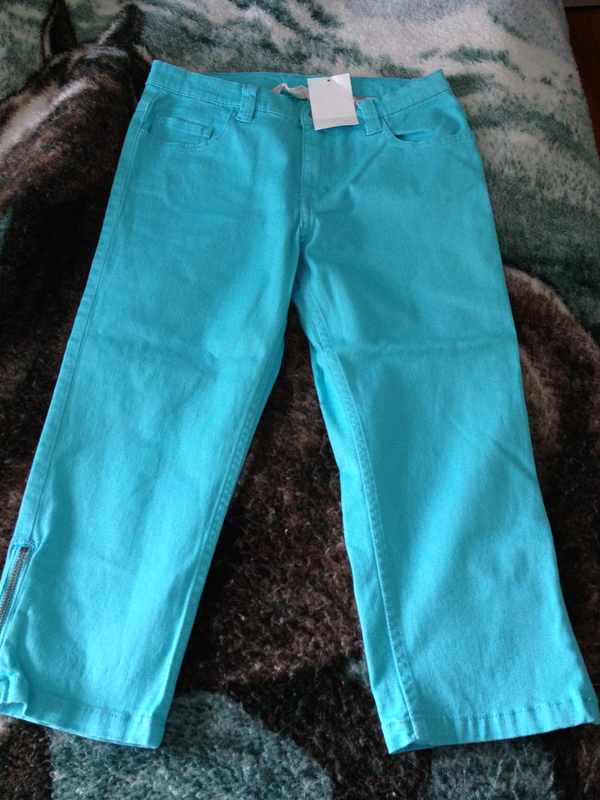 I got two pairs of capris THAT ACTUALLY FIT ME. I was so excited because you have no idea how difficult it is to find pants that fit! I have arthritis, so my legs are pretty skinny and I have pretty long legs at the same time, so finding them was like a miracle! 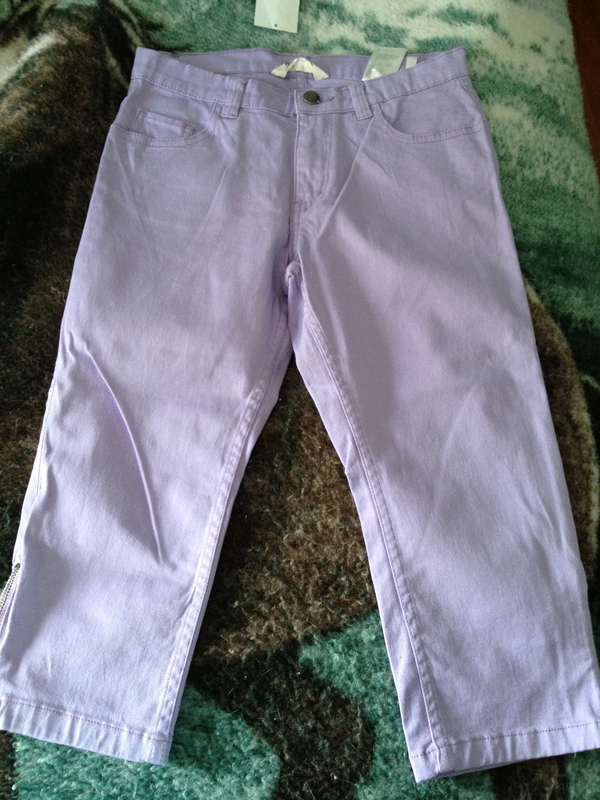 I got a pair that were turquoise, and a pair that were lilac. Once again, very typical Olivia colours! Then, I got a romper! I have wanted a romper for ever, and I have just given up because I know that if I buy an adult romper, it will be massive on me, and I have never seen a child’s romper that I like. But, hey, I got one! On this trip I got lots of things that I have been wanting forever if you can’t already tell! The romper fits perfectly, and it has a pretty ivory lace detail around the neck, and a green-blue floral print. They were about 15 euros each!! Then, a very touristy item! I got a shirt that says PARIS in rhinestones. LOL I really liked it though! I feel like you can’t go anywhere without getting a shirt! There’s tons of souvenir shops around town, and you can get these pretty much everywhere! I honestly have no idea how much it was! Maybe 15 euros? Oh no! I forgot to take a picture of this! Haha, I’ll get one when I do my other post that I mention at the bottom of this post. Sorry! Yet another item that I’ve been wanting for a long time! Bow rings! 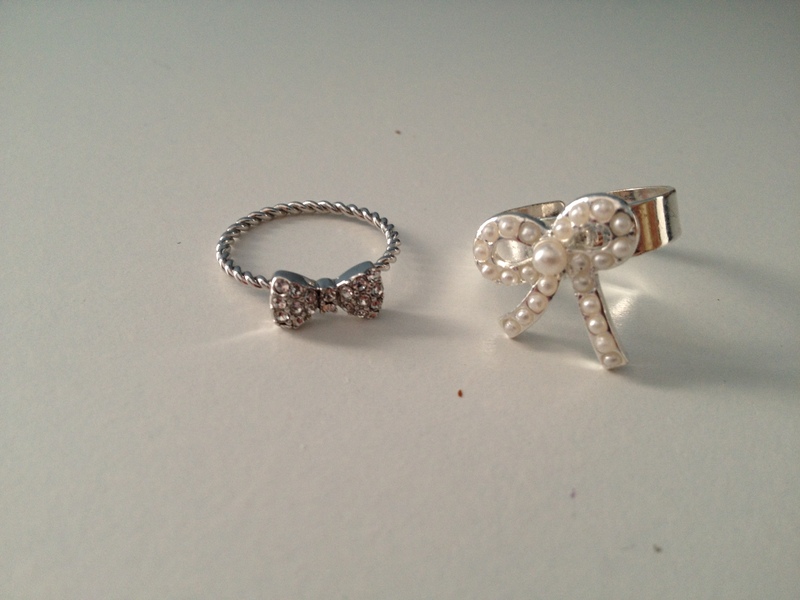 I love bows, I don’t really go too overboard with them, but I LOVE bow rings. The second day we went into a store called Etam, and I got a cute pearl ring from there for about 5 euros. And then, on the last day I got like the best thing EVER. I was so excited when I saw it!! 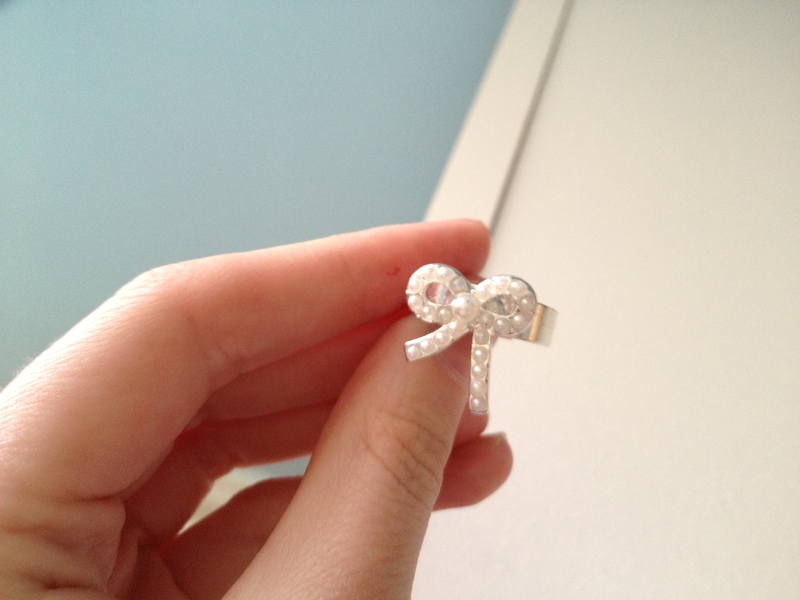 It’s another bow ring, but it’s a lot smaller, and more delicate which I can pull off because I’m pretty small. 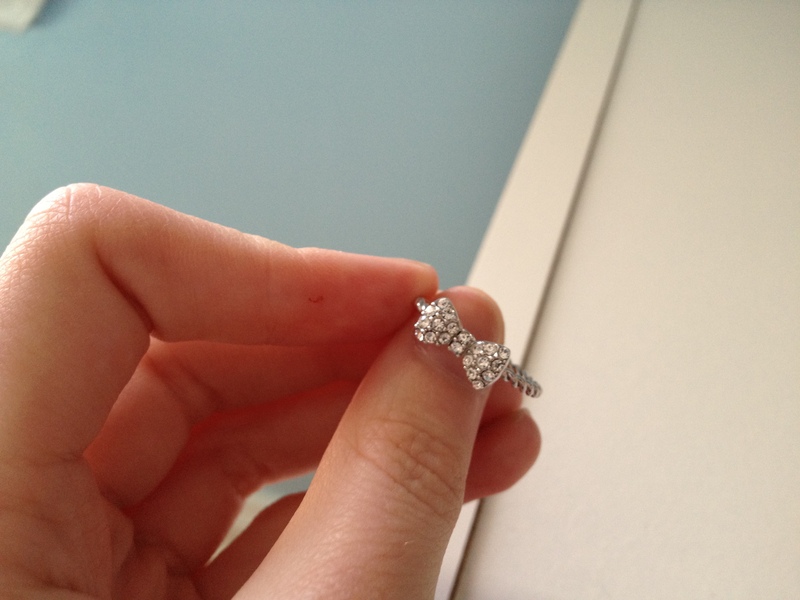 I regret buying the first ring because it looks pretty ugly compared to the other one! I don’t know where I bought this, but I do know what area pretty well, if you’re curious! 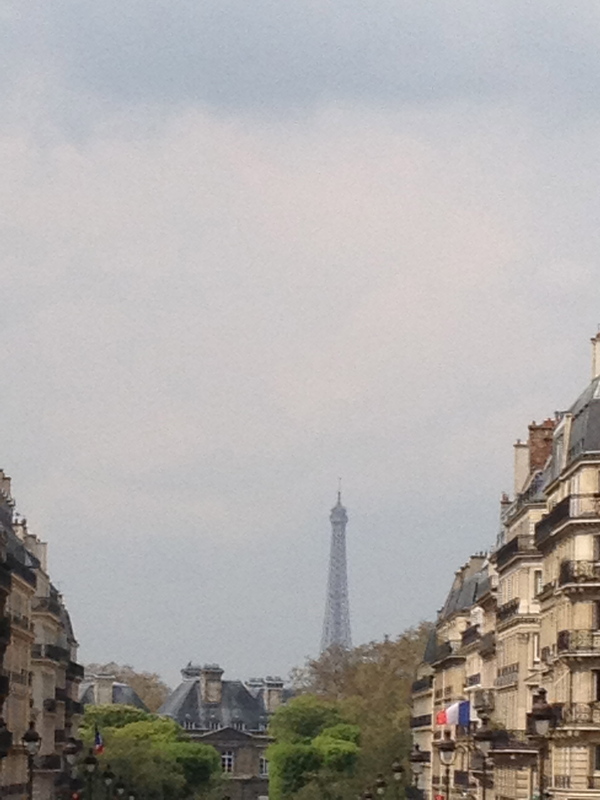 It was sort of near Le Bon Marche. *googling* I’m pretty sure it was on Boulevard Haussmann right beside Guess by Marciano. WOW. Surprised I know that. Anyways, I’d definitely recommend that store! It had great clothes, and amazing jewelry. I think it was 15 euros as well. Another thing I got was actually a birthday present. My birthday is in September! We went to a little store and quickly fell in love with their necklaces. My Aunt ended up buying a necklace and matching earrings for herself, and noticed that I was pretty much drooling over the necklaces, so she ended up getting me one! Thank you! I also don’t know the name of the store, but it was on ile Saint Louis. The brand of the jewelry is Coeur De Lion I believe. 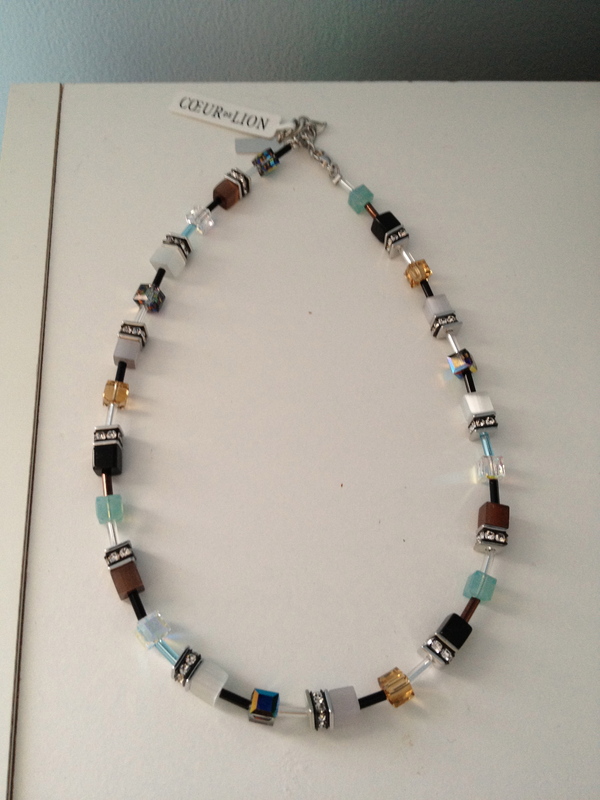 It’s a gorgeous neutral necklace with browns and blues. I wanted something that could go with what I wear everyday, so I got this one. They had some other amazing coloured ones as well though. *I actually just googled the brand, and it looks like they have tons of stores! Here’s a link to see some of the amazing jewelry they have! In Europe, I knew my mission was to buy lots of scarves! I ended up getting seven scarves at a bunch of different places. I’ll start with the ones I got in Paris! There was a store called Diwali that I LOVE. It’s a scarf store, and they have great quality scarves for very good prices. Let’s count how many times I say ‘scarves’ in this paragraph. I ended up getting three scarves there, and I love them all! 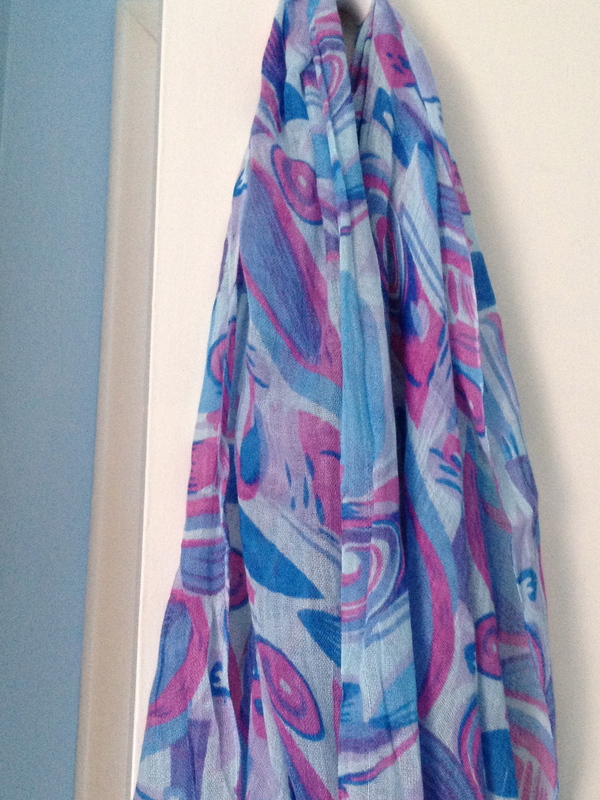 The first one is got (sorry I don’t know the names for each scarf!) 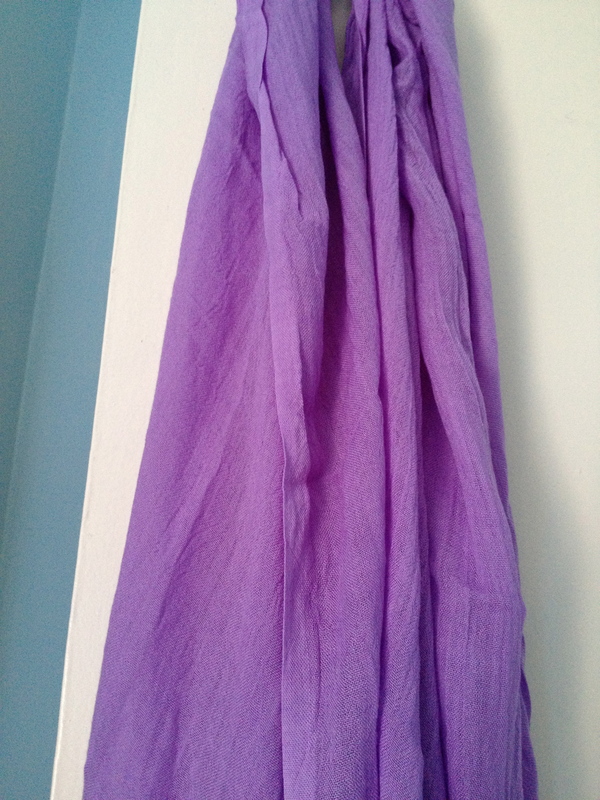 is a very plain lilac scarf that has fringe at the bottom (16 euros). The next one is a EVIL scarf. It’s a plain deep teal colour with no fringe or anything (18 euros?). The first time I wore it, it gave me green hands! When we went back, the girl just told us to soak it in cold water several times, and we have yet to do that. It’s very pretty though! 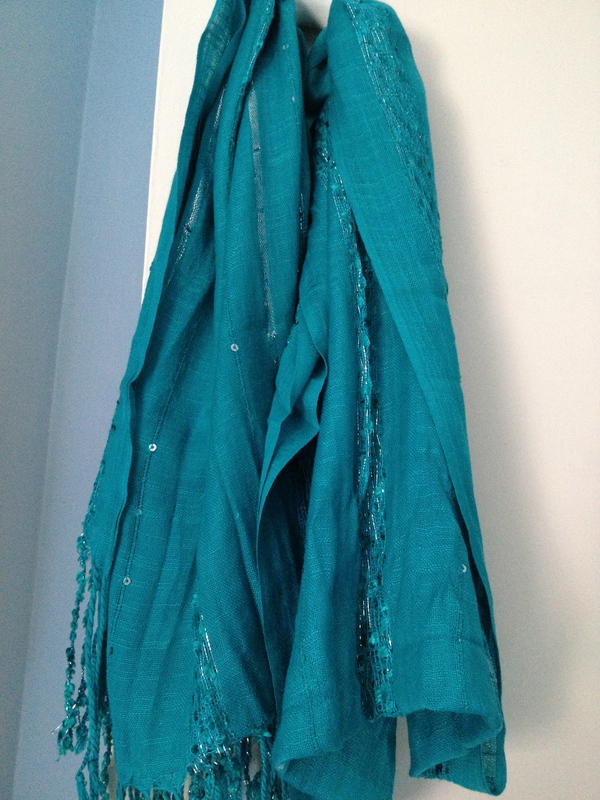 The last scarf from Diwali is so pretty! It’s a very similar colour to the previous one I was talking about, but just a little lighter and brighter. 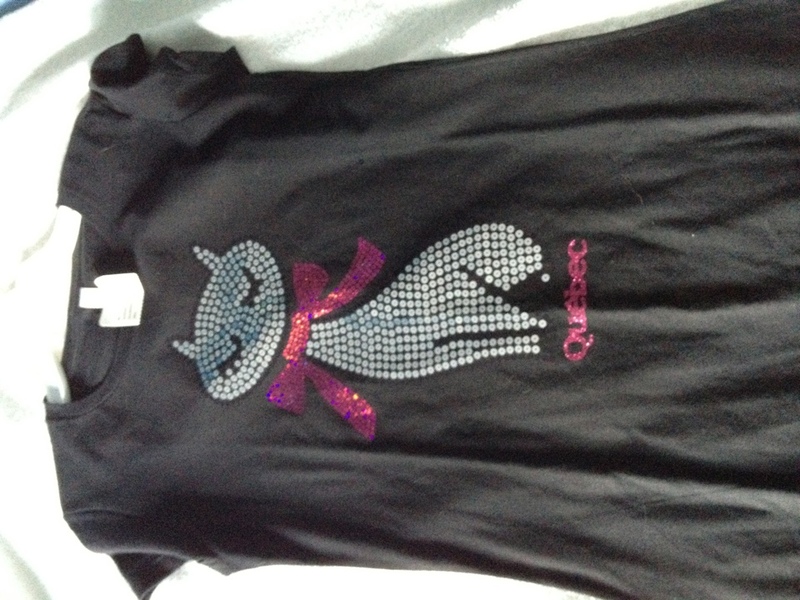 It has metallic thread through it, and sequins too! Very pretty! I believe this one was 15 euros. The next four scarves were all bought in Germany. The first one I bought at a little random shop on the side of the street, and thought it was adorable! It’s not the best quality, but I had to get it! 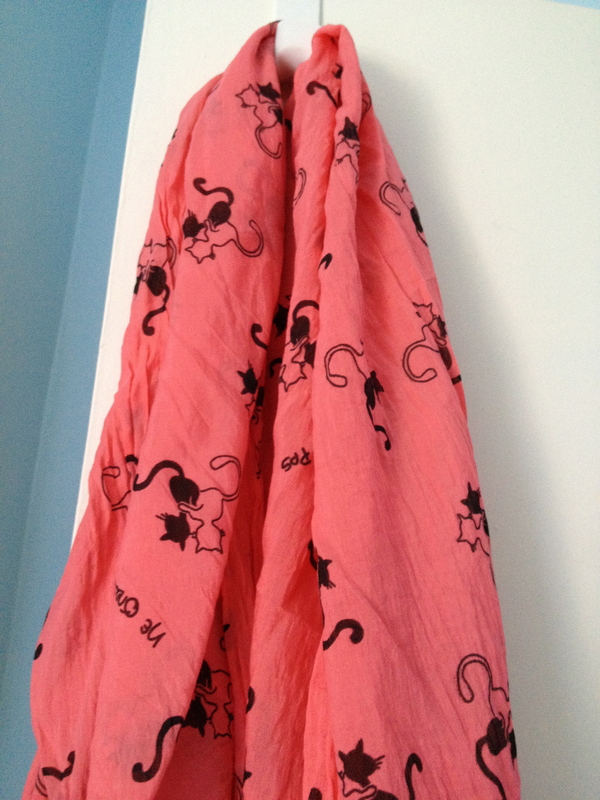 It is coral with little cats on it! How cute!? I think it was only 10 euros. 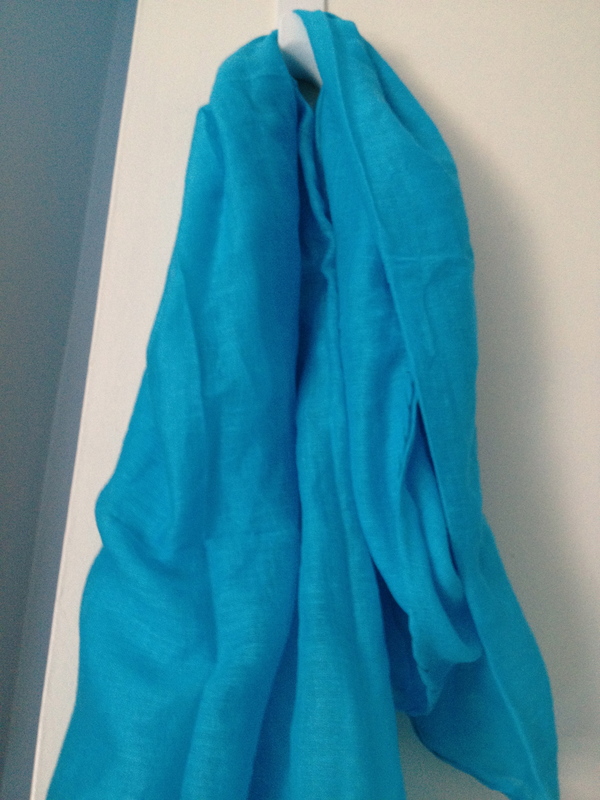 Another scarf purchased from a random store is just a plain square scarf that’s sky blue that was only 3,50 euros. 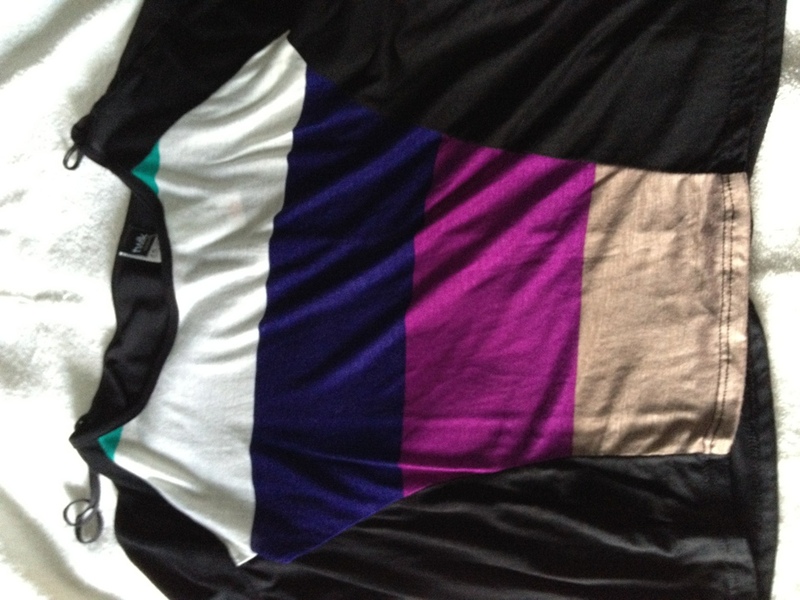 Yes, another one from a random shop that is a mix of blues, purple, and fuchsia was only 4,95 euros. And the last one I got is my favourite! 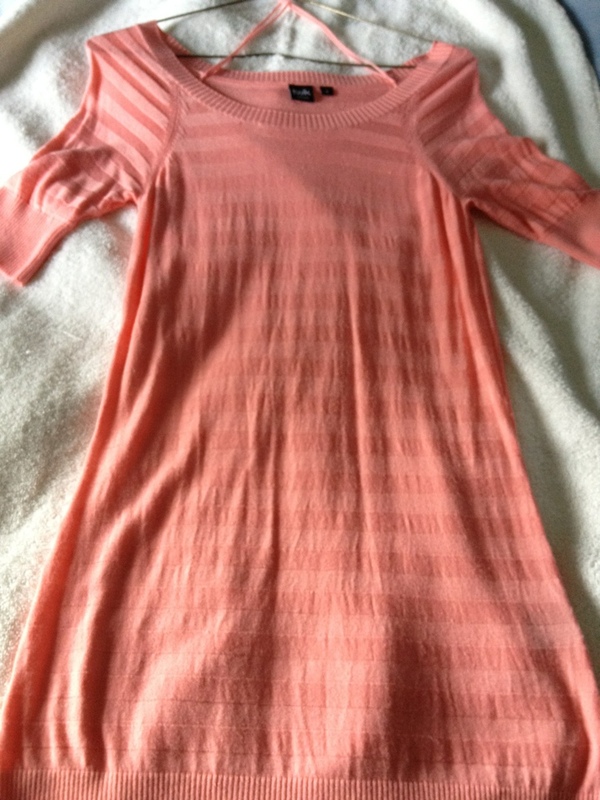 It’s from the store called Peek & Cloppenburg. It was like my favourite store ever! It was a department store with nice brands for great prices. 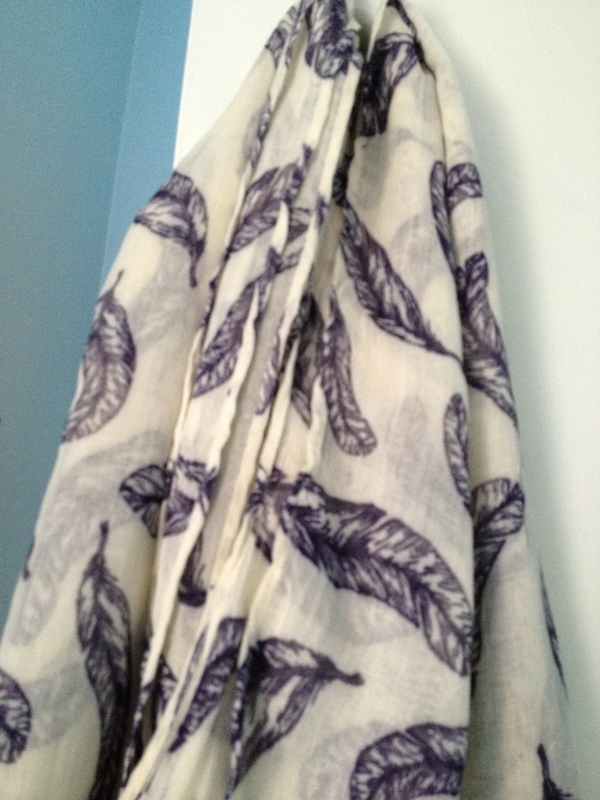 The scarf is a cream colour with plummy grey feathers on it. 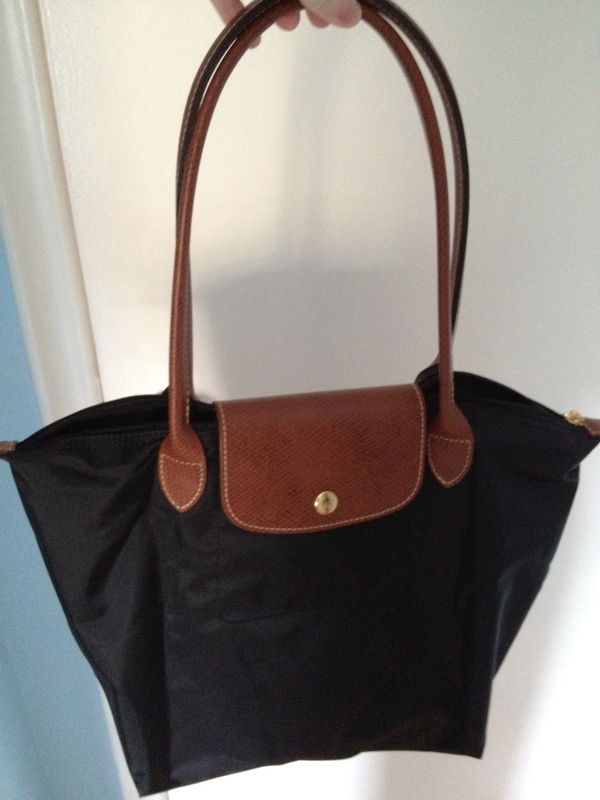 It’s from the brand ‘Review’ and it was around 30 euros. It was actually a gift from my Aunt as well! She went in there and was buying her coat, and knew that I wanted that scarf so bad, and just plucked it off the hanger, and said “I’m getting this too” haha. LOL Look how much I’ve talked about scarves!! The next thing I got was from the same store Peek & Cloppenburg, and it’s a Bench. jacket. My Mom got this for me, because once again, she was getting a similar jacket, and thought I could use mine for the Hamburg zoo that we went to the next day. 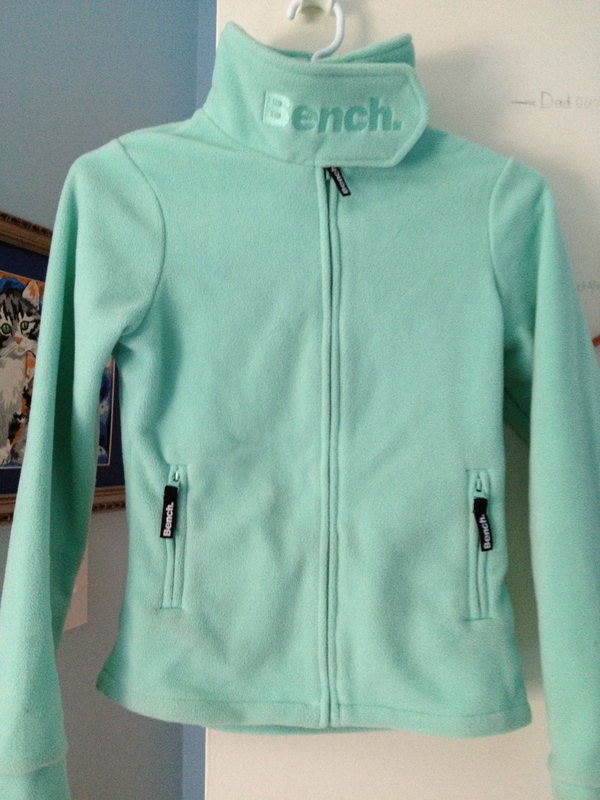 It’s a sea foam green colour, and it has a nice velcro collar that keeps my neck warm–although I may not need it with seven new scarves!! It’s also from the kid’s section! I believe it was like 40 euros. And the last two things…I think!? I love everything that I got, but this was like my big splurge. 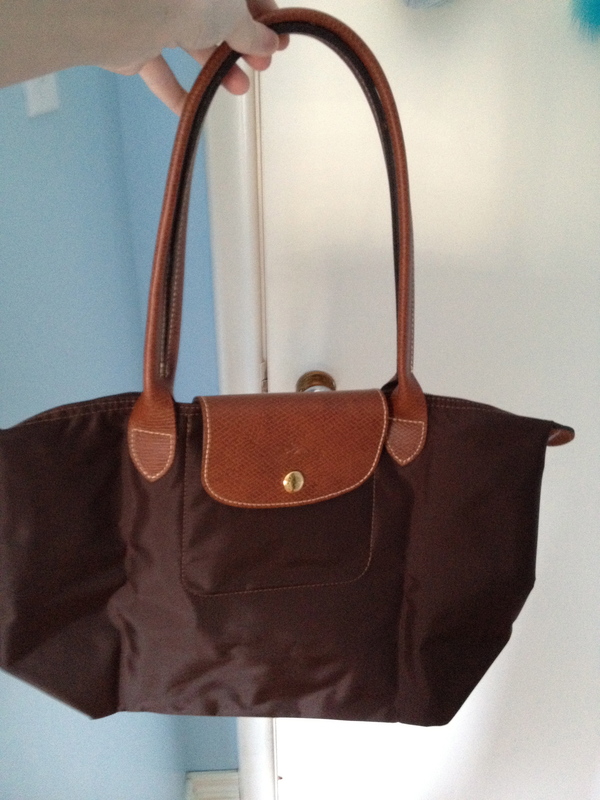 I GOT TWO LONGCHAMP BAGS!! AHHHH! I love them! I think they are the small long handled? Or the medium? They’re just the classic ones. I got the colours chocolate, and black. I love them! We went absolutely crazy in there! 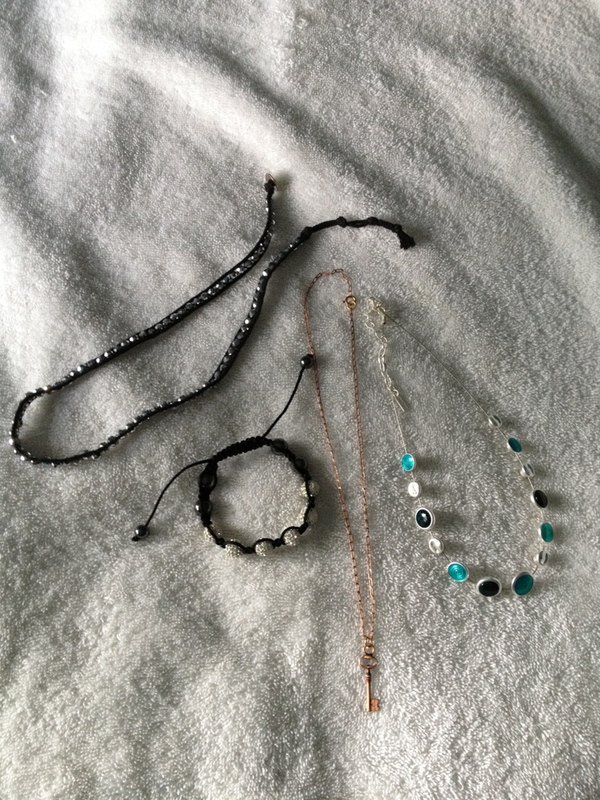 Haha in the matter of three days all three of us got over 15 things combined…a little crazy! Anyways, here’s the pictures of them both. I think I am going to be doing another post of just me wearing everything that I got, because the pictures just don’t do it justice! It’ll probably be up in a couple weeks after I wear all of this stuff! 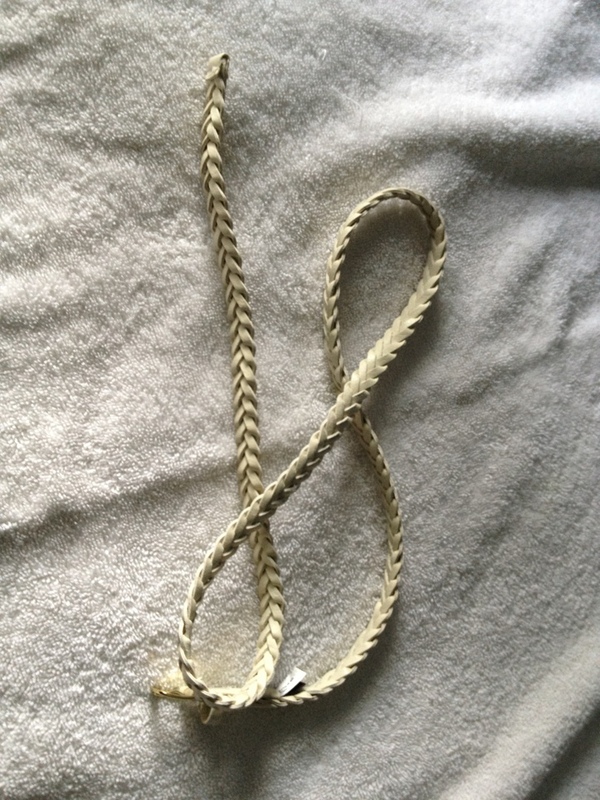 [You’ll see the ‘evil scarf’ in that post! I don’t really want to get my hands green right now!] Talk to you soon! Hello again. 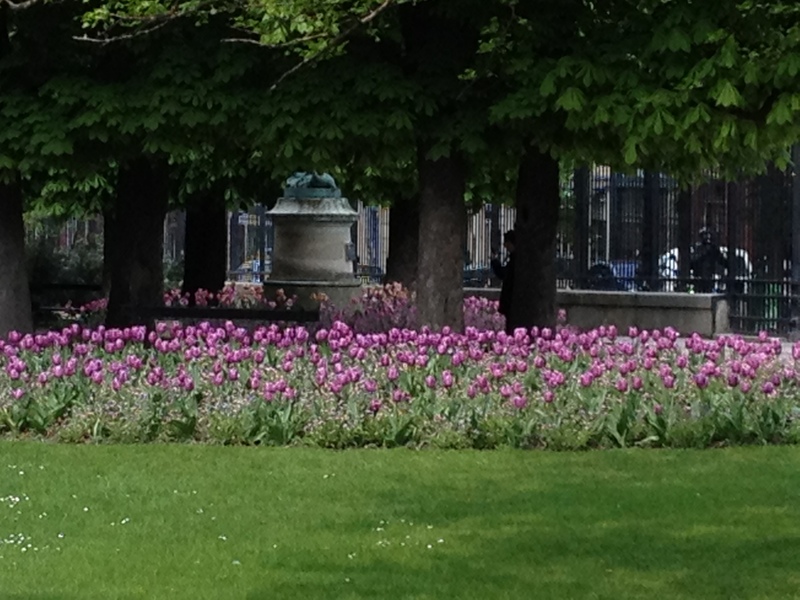 So day four of my trip we went to the Luxembourg Gardens and the Pantheon. 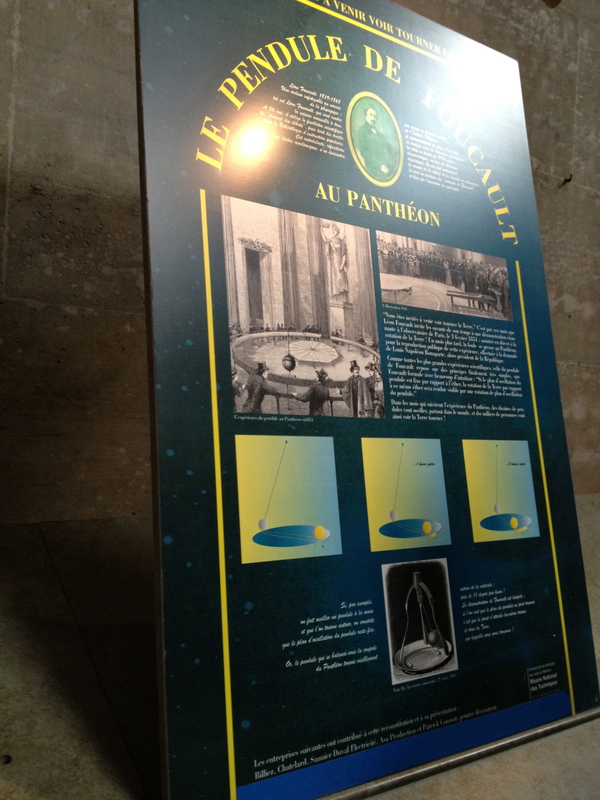 The Pantheon was a pretty cool place, let me tell you! It was where we discovered that the earth moves. It said everything about time, and the pendulum was still going. I can’t really tell you everything about it, because I just learned a couple things, but I do know that the pendulum just moves on it’s own, and it determines the time. There were ways of telling the time before they discovered this method, but nobody knew about the earth moving with us on it. 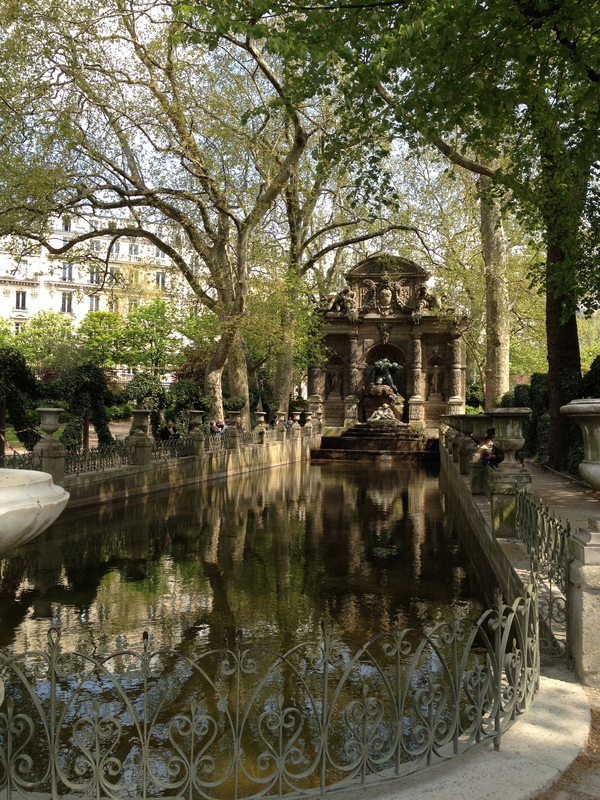 Anyways…the Pantheon was really close to our hotel, and so were the Luxembourg Gardens, which were beautiful! 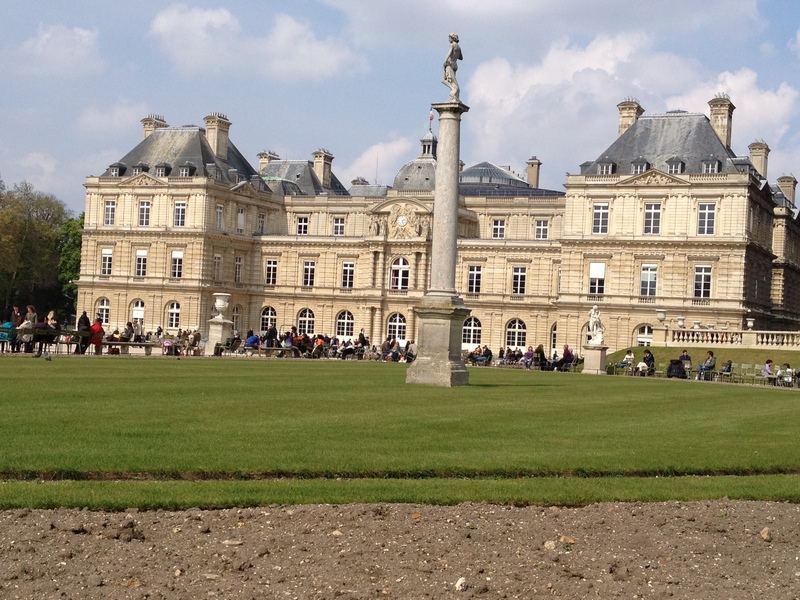 I’m not totally sure what the Luxembourg Gardens are, but it’s basically a big old building that is surrounded by a really beautiful park. Between the two places that we went to was a little shopping area, so we went shopping! There was a store called Diwali which I quickly became obsessed with. It was a scarf store that sold great quality scarves for pretty reasonable prices. They had I think 9 stores all around Paris, and we ended up going in 2. If you are looking for any good scarves and are going to be in Paris, check Diwali out! Anyways, I’m going to stop talking…here’s the pictures! 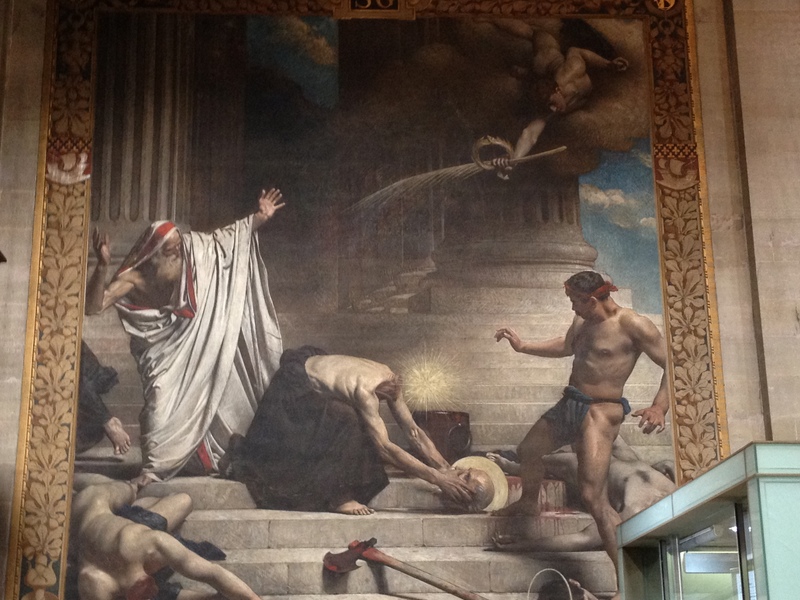 Creepy painting inside the Pantheon!! I’ll have a few more up tomorrow! Talk to you then! Goodnight.